The unique shape of this sign makes it interesting and collectible. The sign is blue and white. At the top, the sign curves upwards and has part of the Packard logo forming the interesting die cut. 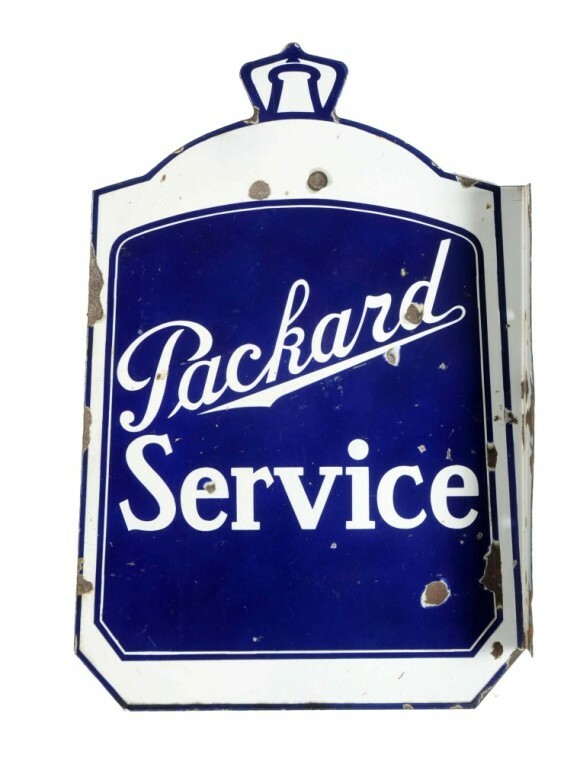 In the center of the sign, written in cursive and regular type (respectivley), are the words “Packard Service.” This sign is smaller at a size of 25″ by 18″.